I am fascinated by the connections between human development, our relationship with nature, and how we organize to collaborate. The experience of holding sacred space for a friend as she died taught me that to have lived a rich life one should to share all our gifts with the world fully and with our whole being. As a coach I want to help my clients uncover their gifts and bring them more fully to the world - at the individual, team, or organizational level. My entire career has been focused on change leadership around environmental initiatives - facilitating change, and empowering others to lead change from within their organizations and communities. At the beginning of my career, this took the form of local and national level advocacy, and policy analysis and formulation primarily on energy and climate issues. After receiving my masters of science in environmental sciences from Johns Hopkins, I spent 3.5 wonderful years in South America working on a variety of community-level projects. While technical in their focus, these projects highlighted to me the importance of developing consensus through trust, demonstrating that everyone’s opinion was heard, and ensuring local capacity was developed so that community members were trained and given control over the long term success of the project. Upon my return, I pursued a masters of business administration in Global Management from Thunderbird, the School of Global Management, that emphasized skillfulness in cross-cultural communications. 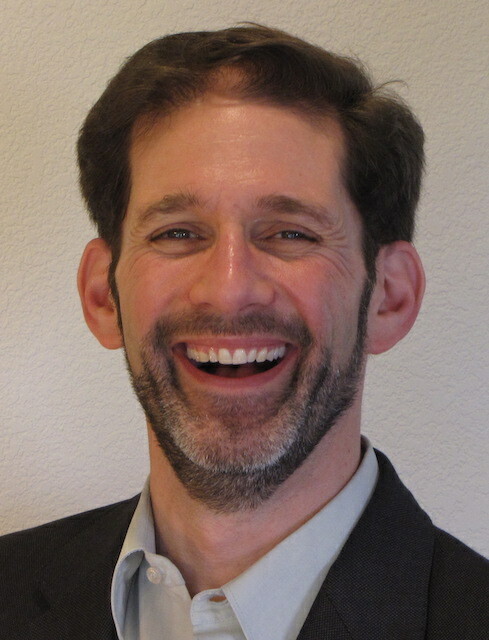 In my 10 years as a management consultant, I have used the combination of this multidisciplinary education and experience to help public and private sector client organizations embed sustainability into their products, business models, risk management, and organizational structures. My clients have included local and national governments, medium size businesses and Fortune Global 750 corporations in the US, Europe, Latin America, Asia and Africa. In my consulting engagements I started seeing a pattern. Those who were tasked with leading sustainability initiatives often found themselves at their learning edge. Since most had a technical background, they struggled with the stakeholder engagement and consensus building aspects. Wanting my clients to succeed, my work ended up including coaching and emphasizing consensus building and organizational transformation. In my more recent work as a Sustainability Circle Coach, the same pattern arose. My primary contacts in client organizations found themselves at their learning edge. Another formative influence is the 2.5 years I explored, practiced and refined co-creating and facilitating spaces of transformation with 5 friends as the HeartStorm Collective. The HeartStorm Collective used whole being engagement to catalyze inspiration, innovation and collaboration. This amazing experience shows me the rich tapestry that can be woven by a deeply connected team, and ways to cultivate that deep connection and trust. The gift we brought to our workshops and retreats was creating integral experiential spaces that hold the possibility of transformation, to unfurl our potential as whole beings and step in together to creatively engage with the complex problems of our times. Having been coached by graduates of the program and considering the idea for several years, the experience of holding space for my friend ultimately spurred me to pursue certification as an Integral Coach through New Ventures West (NVW). 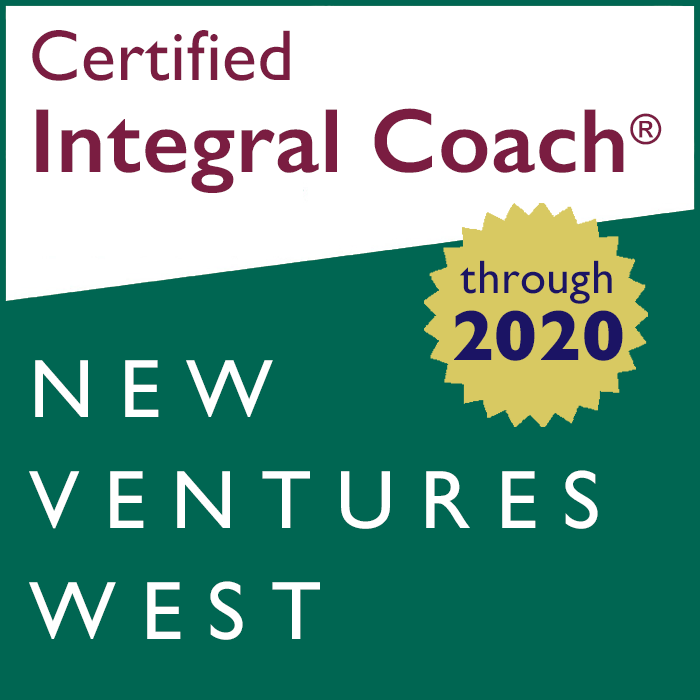 Integral coaching feels like home to me. It is a developmental coaching style, which means we help people expand and deepen their competencies and skillfulness to better face their life circumstances. I offer a heartful approach to cultivating leadership and cohesion of your team or organization. Please reach out to start a conversation. I’d be happy to answer any questions you may have and to explore collaborating.